Clinical trial screening can include a complete medical history, diagnostic imaging, lab work, biopsy, and treatment history. Patients are screened for eligibility by extensively discussing the clinical trial in a thorough and well-documented informed consent process. Once patients agree to participate and the consent form is signed, screening procedures that ensure the patient meets all the criteria for inclusion and does not meet any exclusion criteria are completed. 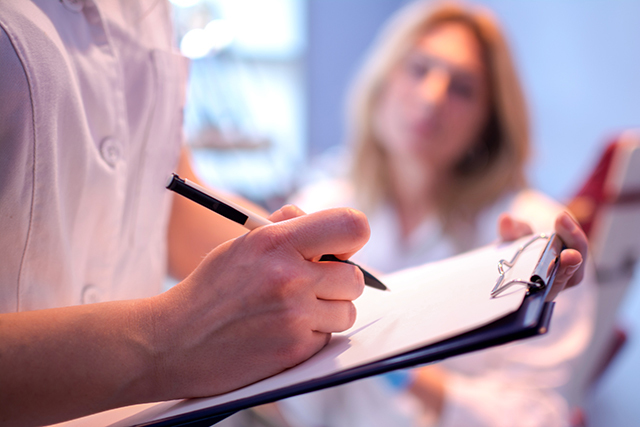 Screening procedures can include a complete medical history, including any medications and supplements, diagnostic imaging, lab work, biopsy and/or biopsy review, electrocardiography, vital signs (height, weight, BP, pulse, temperature, pulse oximetry), and treatment history for the disease under study. Any screening procedures completed for another reason within the screening window — the time frame specified by the clinical trial within which the tests must be completed — likely do not have to be repeated.